It’s 2019, and the world of advertising and marketing is fast paced and ever changing! Ten or 20 years ago, your business might have thrived off of exciting and flashy new commercials or brochures. But, in a world of smartphones, smart TVs and even smart speakers, your traditional marketing techniques are not going to cut it. Studies show that the average U.S. adult spends an average of nearly three hours and 35 minutes on their mobile phone. If that is the case, then why are you spending your marketing budget on billboards or print ads? Digital and inbound marketing will continue to be the future of marketing as the time consumers spend online only continues to increase in our Google-run world. 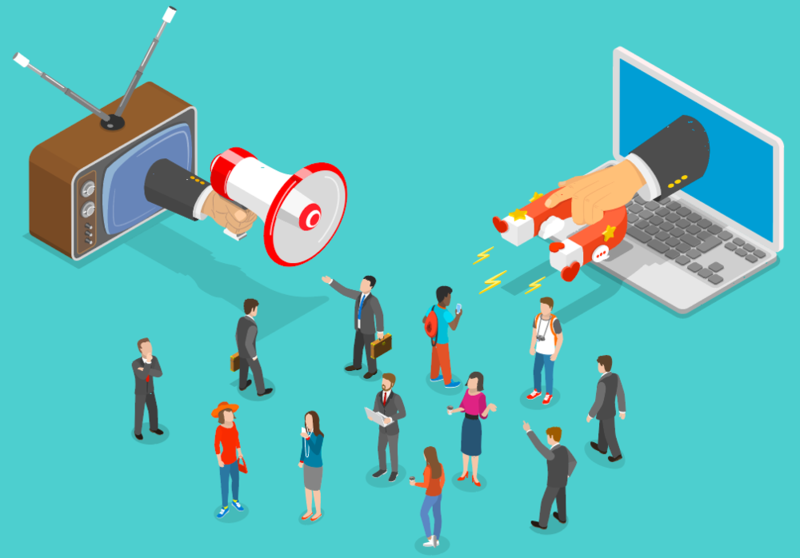 Therefore, it’s time to ditch your traditional advertising initiatives and replace them with these digital ones. When was the last time you looked something up in a phone book? If you have a legitimate answer to this question – and it’s less than five years ago – then you’re probably over the age of 80 because NO one (and I mean no one) is using phone books. That being said, you are wasting your time on Yellow Page ads. When someone needs to look something up, chances are they will just Google it. 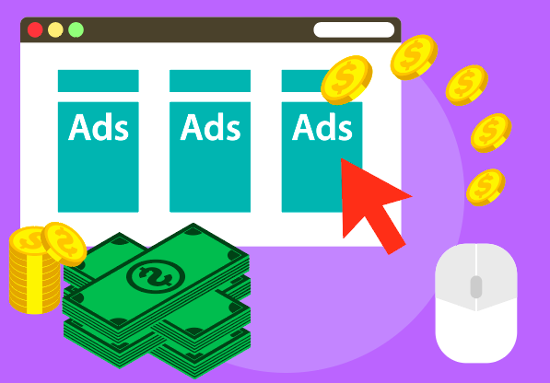 So, why aren’t you putting your ads on Google?! With Google Ads, you can target your audience instead of just blindly reaching everyone and their grandmother. You can use keywords to show up for different search results so that you know the individuals that click on your ads are already thinking and searching for something related to your business. When you see a billboard featuring a business phone number or website, do you call or look it up? Probably not. So, no matter how amazing and creative your billboard is, chances are there aren’t a lot of high-quality leads coming from your board (which can’t even track ROI or any metrics). However, everyone and their mother (and even their grandmother) is on social media nowadays. And, we hate to say this – and we don’t support it – but they’re even on it while in the car. With social media, you can create brand awareness and educate your followers by posting content offer and blogs that will drive them to your site. You can also engage with them by responding to comments and mentions. And, unlike your traditional billboard, you can review performance metrics to learn what works and what doesn’t so that you can continue to optimize and improve your social presence. TV and commercials are so early 2000s. If you’re anything like me (and all my millennial friends), you don’t even have cable because you're already satisfied with your online streaming services like Netflix and Hulu. However, that doesn’t mean we aren’t constantly watching streams of other videos and short clips online. 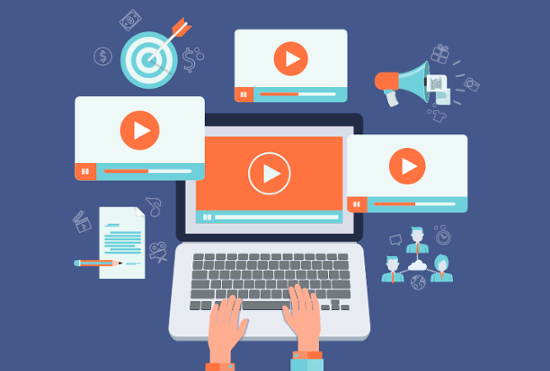 With attention spans getting shorter, video is still a great way to advertise and market to your audience — and with HubSpot's new video integration, it’s easy to add videos to your site. You can create tutorial, explainer, resource, company overview videos, etc., and then you can embed them in emails, add to website pages, and share on social media. I think by this point you realize that we live in a digital world, and everyone turns to the internet and technology for communication. Therefore, stop killing trees by creating printed materials like brochures, flyers, and booklets, and start using email marketing. With email marketing, you can personalize it to each individual in order to make it more impactful than a flyer people will throw away. 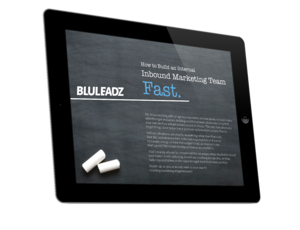 And, with email, you can see metrics, A/B test messaging, target your audiences, and more. How much of my budget am I dumping into these withering methods every month or year? Do I know my benchmarks? Am I tracking where my leads are coming from, or running A/B tests to see what is working for my visitors? Am I able to calculate ROI? Do I have exact metrics on my monthly conversion rates? You’ll easily see that your traditional marketing tactics won’t have a good answer when you ask these questions. However, new digital and inbound marketing initiatives will have good answers and are able to prove better results that you can track and continue to optimize!